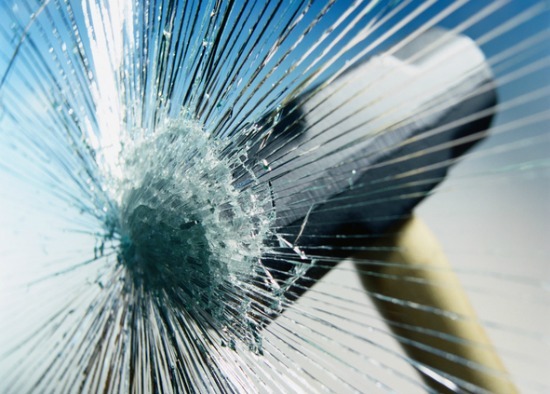 Is This Person Sabotaging Your Sales Success? At a recent conference, a sales rep was telling me about a deal he should have won. After hearing his story—I couldn't help, but agree. He should have made the sale. Not only is the software great, but the firm's principals excel at making sure their clients accomplish the key strategic initiatives that drove them to make a change. Clearly Alex has a strong value proposition. But for some reason that he couldn't pinpoint, he was really struggling with sales. Last week, Alex and I debriefed a recent sales call with the head of sales in a company that truly fit his firm's ideal client profile. After a bit of initial chitchat and positioning of his firm's capabilities, Alex asked about the company's direction and the gaps in technology that needed to be closed in order to achieve their business objectives. Prospect: I'm so frustrated with our IT department. There's been a typo up on our website now for three weeks. And it's in an area that we're really trying to drive customers to right now. Alex: With our system, you could have that corrected in 20 seconds. Prospect: Wow! Impressive. What about when we come up with a new update to our proposals. Right now, we've got all those old versions floating around out there and it's creating a huge issue. Alex: No problem. We can take care of that right away too. If we get it set up right at the beginning, we can totally automate that step. Alex: We can do that! When we set up a demo, I'll show you how easy it is. Prospect: What about...? It drives us nuts here. Alex: Simple, simple, simple. I can show you or anyone else on your staff how to do it in three seconds flat. And so it went. After the call, Alex was ecstatic. Everything the decision maker asked about, he could do! In fact, he felt like he was really removing a burden from this person and reassuring him how good it would be to work with his firm. Yet he'd felt like this far too many times before—and been disappointed when nothing ever happened. Prospects kept saying that his software was really "cool" and that when it was time to make a switch, they'd take a more in-depth look. But Alex couldn't make a living off of future promises. He needed sales now. As Alex told me about how he kept experiencing the same failure over and over again, it became clear that someone was sabotaging his sales. That person was Alex! When you keep experiencing the same problem over and over, it's time to look for the root cause. How are you contributing to the outcome you're getting? Alex kept making the mistake of assuming decision makers just needed reassurance that his technology could solve every problem they faced. What the decision maker really wanted, however, was to meet objectives. Alex should have kept his focus there and kept exploring the business issues. What other problems are you facing because you can't get IT to make the changes do you need? What impact does their lack of urgency have on meeting your business goals? What issues are created when you have all those old versions of proposals out there? How does that affect your distribution channel? How else is the lack of up-to-date info on your sales portal impacting your ability to drive revenue growth? What difficulties do you run into because you can't do this easily? By jumping ahead to the ease of the solution, Alex never helped the decision maker understand the value of making a change. As a result, interested prospects kept fizzling out, opting to stay with the status quo. Unfortunately, unless he started exploring the business issues in more depth, he was doomed to repeat this pattern time and time again. What Sales Obstacles Are You Creating? What about you? When you initially connect with a decision maker, are you creating a hole that's hard to crawl out of? In today's marketplace, it can take forever to finally connect with a prospective client—you don't want to blow it. Same thing about your initial client meetings. You have one chance to advance your relationship. If you mess up, you're not invited back. While it's easier to blame your prospects for stringing you along or being jerks, it doesn't change the results you're getting. The only way to solve these sales challenges is to be ruthless in your own self-assessment. You need to constantly question what you might have said to create the obstacles and objections that you keep running into. Sometimes you need other people to help you understand where you're making your mistakes. Alex would never have dreamed that his service-oriented attitude was the root cause of his sale challenges. I've sabotaged my own sales too. It's hard to admit, but it's true. Once I was able to identify that I was the problem, however, I was able to shift gears and finally make the sale. To find out how you might be sabotaging your own success, you may need to look outside yourself for insight. Brainstorm with your colleagues, check with your boss, or explore the issue with other sellers. Don't be defensive; try to figure out where changes could help. Then experiment with the new options. When you finally eliminate those sales obstacles that you've unintentionally created for yourself, the payback can be huge!